You will need to enter your personal details and confirm it. After that you will receive an email with activation link. Next you will have to choose interesting product, size, click „add to basket” button and click „place your order” button. 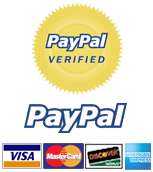 After that you will have to choose payment method and you will be redirected to payment service website. Once payment is done you will be redirected back to our web-store and you will be informed that your order is approved. Right after sending we will send you an email with the tracking number and link to trace it.